Known today by most as Montesquieu he was born, Charles-Louis de Secondat, Baron de La Brède et de Montesquieu, on the 18th of January, 1869 in France. Today he is best known for his role as a writer and philosopher in the Age of Enlightenment alongside others, such as: John Locke, Voltaire and Jean-Jacques Rousseau. 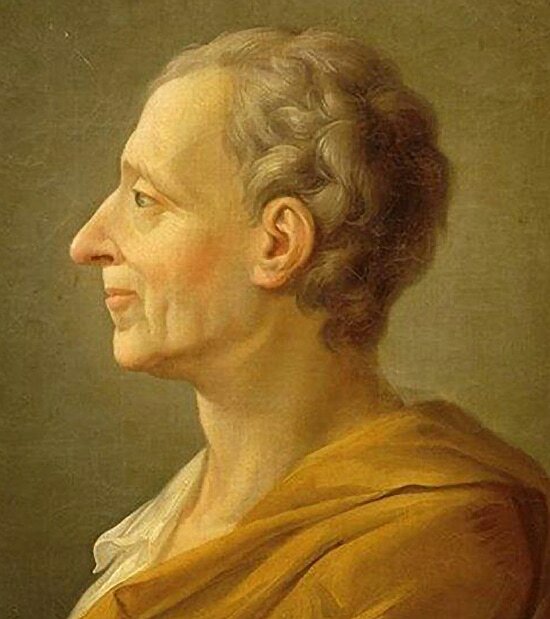 Montesquieu was born in southwest France to parents of the noble class. His father Jacques de Secondat was a soldier, while his mother, an heiress, died when we was just seven years old. From 1700 to 1711, he attended the prestigious Catholic College of Juilly. After the death of his father in 1713, Montesquieu lived with his uncle, and began to practise law in France. Montesquieu’s importance today is based on his writing and the impact he had on the overall Age of Enlightenment that swept across Europe. While he wrote several works, his book titled ‘Spirit of the Laws’ was his most influential. First published in 1748, Montesquieu released the ‘Spirit of the Laws’ anonymously in order to avoid censorship. Since the ideals of the Enlightenment often opposed the absolute monarchies of Europe, governments often censored Montesquieu’s work. Regardless, the ‘Spirit of the Laws’ was widely read across Europe, especially in Britain and America, and became one of the most influential works of the entire Age of Enlightenment. In particular, Montesquieu’s ideas on the separation of powers appealed to many revolutionaries including the founding fathers of the United States. In his theory of the separation of powers, Montesquieu argued against all forms of absolute authority (such as absolute monarchy) and instead proposed that the authority of a government should be divided between three branches of government. Specifically, he stated that the branches of government should include an executive branch, legislative branch and judiciary branch. The executive branch was to be composed of a constitutional monarch, the legislative branch was to be made up of an elected body and the judiciary was to come from professionals in the legal system, such as lawyers and judge. Each of the three branches was to be separate and have the ability to act as a “check” of power for the others. As a result, no single branch could dominate the others and therefore limited the ability for any form of absolute authority to form. This idea of a separation of powers has lasted into today’s world, as many democracies are based upon this foundation. For example, England, Canada and the United States, each contain the three branches of government, as laid out by Montesquieu, in their respective forms of government. ​Montesquieu wrote several other works related to politics and how society should be structured, but by far, the ‘Spirit of the Laws’ was his most influential work. In his later years he struggled with poor eyesight and was completely blind when he died in France in 1755 from complications related to a fever.